Parasun Ibiza is the dream of two lovers of Ibiza’s coast, the sun and fashion. 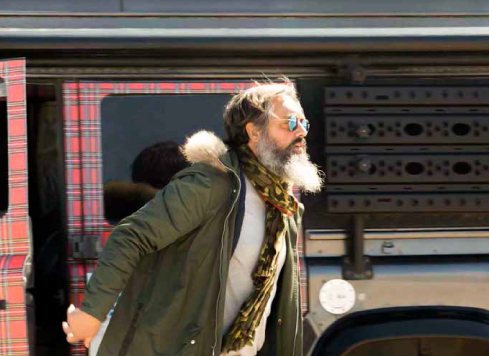 The story begins in a Land Rover, the peculiar portable hotel Angeles and Bruno run through the most paradisiacal beaches in Europe with. Sardinia was the spot last summer stirred up their minds the idea of creating a range of premium beach accessories. Before them a dreamy landscape spiced with the most chic people from Italy was raising, an explosion of glamour that was soon overshadowed by the strident beach umbrellas of those bathers. At that time they realized that if these people had spent so much time to pamper their look, someone should offer them the option to complete their outfit with beach accessories in accordance with that dedication to fashion, without ignoring the importance of sun protection. 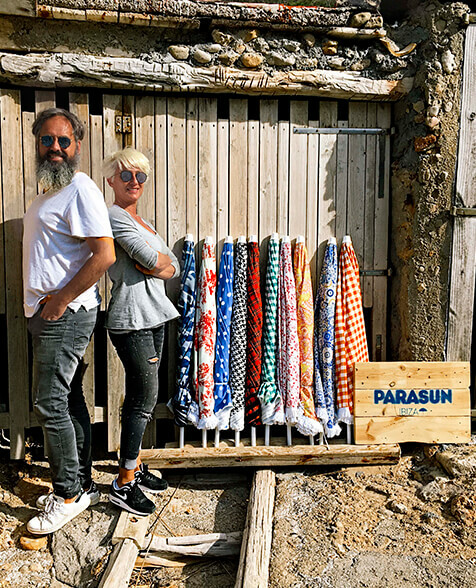 Parasun Ibiza combines these two ideas by creating a line of beach umbrellas and accessories that blend elegance and protection from the sun. Angeles and Bruno have joined protection and design in this line of beach umbrellas. 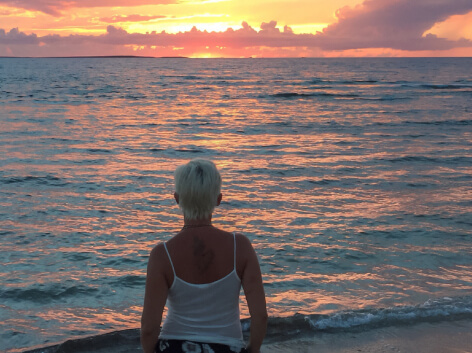 Parasun Ibiza introduces a new concept of sunscreen with which its creators aim to raise awareness of the importance of protecting our body on the beach. No one better than two people seduced by the Ibiza’s landscape to understand the importance of taking care of the most important of the suits: the skin. A collection of beach umbrellas inspired by the hobbies of the drivers of Parasun Ibiza. They love to spend long hours on the beach enjoying the sun, sea and a good book, and for this nothing more necessary than to be properly protected. The line Parasun introduces has a UPF50 + protection factor approved by an independent technical laboratory; a 100% polyester textile can protect us from the impact of UVA rays on the skin. With a diameter of 180cm (70.8 inches) – perfect for two people – they are suitable for use in all types of environments, because thanks to its tough structure of steel with white coating are not only elegant but have a high resistance to wind. A proposal of style and perfect protection for fashion lovers enjoyed the beach and summer safely.